Fun ideas and techniques for Bible journaling. Let's learn together! This blog contains affiliate links. To learn more, please read the Disclosure. I thought about how creation speaks of a creator. Anyone can see it! 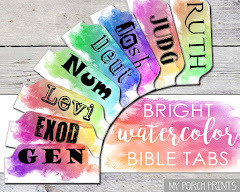 I thought this would make a great verse for Bible journaling, and since I've been thinking about trying to make a galaxy-style picture of some sort, I decided this was the verse to try it on! Okay, first I used my Micron pen (no bleed-thru! yay!) to sketch a sunflower in the corner and a couple of big, simple leaves. You might be wondering what on earth sunflowers have to do with galaxies. Well, not much. But I have also been wanting to draw a big sunflower in my Bible-J. And this whole creation thing includes sunflowers, too, so yep. That's my thought process. Ha ha! But seriously, I like the contrast of the bright flower and the galaxy. It's almost like it is the sun, shining out there from the corner of the page. Next, I used my Faber-Castell Artist Pens to draw my words. I am the world's worst hand letter-er. But I've learned a few tricks to take icky handwriting and make it a bit fancier. You can read about how to make your handwriting fancier here. I colored in my sunflower and leaves with gelatos, then I got to work prepping for my galaxy. I started by using white crayon to draw some dots and circles on the page, hoping they would show up through my gelatos like stars. I outlined my verse and colored over it with white crayon to keep the gelatos from covering it. If you're not familiar with gelatos, read about them here. Beginning in the corner, I used boysenberry (dark blue), snow cone (light blue) and passion fruit (purply-pink) gelatos from the Faber Castell Bright Gelatos set. I smudged them with the hard sponge and used circular motions to blend them together. Be careful doing this. Make sure you're holding your Bible page firmly so as not to tear it. I continued adding small patches of color and blending them together. Other gelatos I used included elderberry, acqua dolce and bubble gum as well as shades of greens, yellows, etc., all from the Brights and Pastels gelato collections.. I had a little trouble blending in the dark blue (boysenberry) gelato. I don't know if it was just that one, or if all the boysenberry gelatos are difficult to blend. After blending, I used white acryllic craft paint to make stars. I dipped a stiff bristled brush into some water and then into the paint, then running my finger over the bristles, I splattered white "stars" into my galaxy. I also used a small pointed brush to create larger stars. Moving over to my sunflower page, I also used white paint to add highlights to my sunflower, leaves and words. All-in-all, I'm very pleased with my first gelato galaxy! Are you going to try it? Share your photos with me on Facebook! This might be one of the toughest posts I've ever written. Why? I think for the same reason I don't like to walk around in tank tops and short shorts. It just reveals too much! 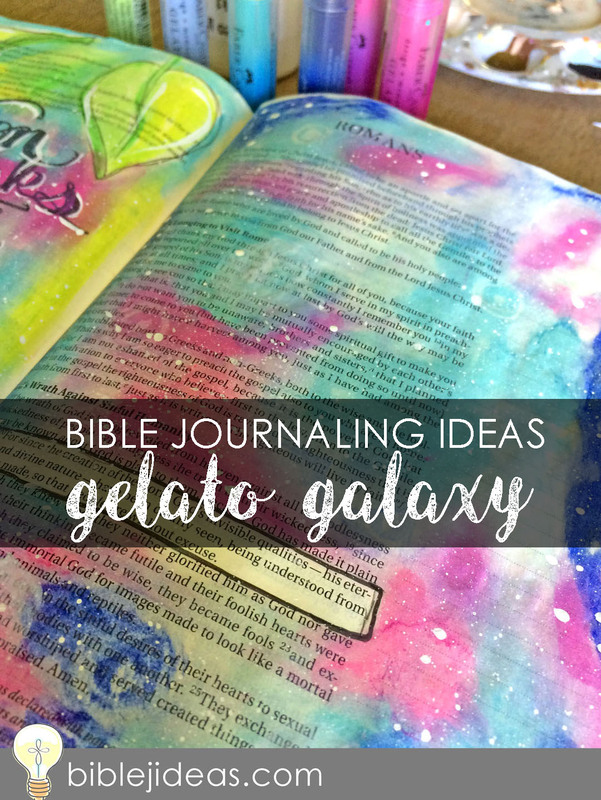 Bible journaling is kind of a personal thing. It's a me-and-God thing. But I also want to share it. Do you ever feel like that? When you make something? Like you want to share it, but you kind of don't at the same time? That's Bible J for me. 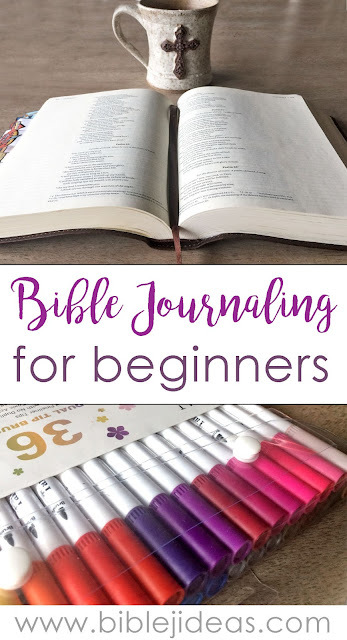 Part of the reason I started this blog was to help myself learn new journaling techniques... and then to share them with others. I knew I would make mistakes. I knew I had so much to learn! But I also knew my mistakes might help others learn, too. So, in the spirit of making mistakes... and learning from them... here's an up-close and personal look into my journaling Bible... the good, the bad and the... aesthetically challenged. Ha ha! Don't judge me too harshly. I'm still learning. 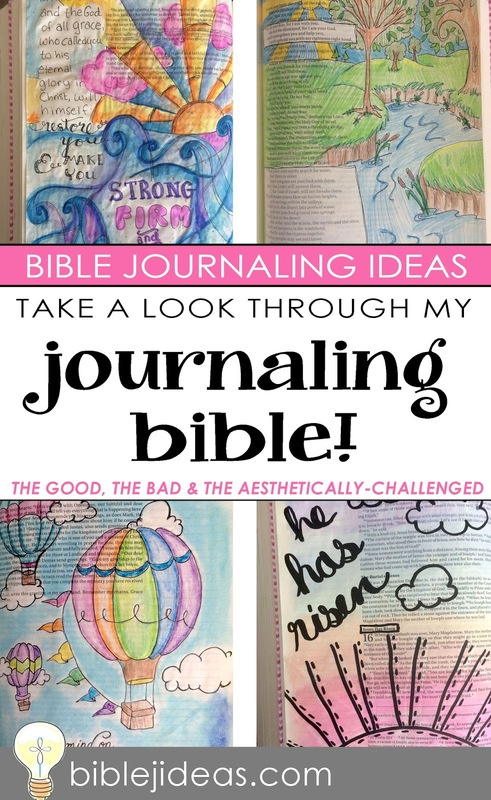 And if you're out there thinking about starting your own journaling Bible, and you're saying, "I'm not an artist! What if I mess up? What if my page turns out messy and ugly and I can't do anything about it?" Just remember, you're in good company! It's okay to fail sometimes. And other times, you might just make something to be proud of! Some of these are original designs, and others are inspired by things I've seen on Pinterest. Of course, mine never seem to turn out quite like the pretty pins, but that's okay, too. This was my first Bible doodle. You can read about it here. When I was a kid, I memorized the 23rd Psalm. It always made pictures in my mind of a dark valley with a beautiful pasture and stream waiting beyond. I have a similar design for you to print and trace here. This is my first double-page design. I think I'll do more! This was done with a printable and washi tape. You can get the printable and read about washi tape here. This is me! If I were about 30 pounds lighter and wore dresses. Ha ha ha! For a long time, I was a stick-to-the-margins kind of girl. Can you tell? But eventually, I brought myself to color more and more on the page. I knew I wanted to, but for some reason it was hard, like maybe covering up the words wasn't okay? But I examined my motives and realized I wasn't trying to cover up God's word. Rather, I was highlighting something that really spoke to me! I still have a study Bible for reading, which gives me freedom to be artistic in my journaling Bible. I have a lot of designs done with gelatos, but this was my first. You can read more about gelatos here. I really loved this hot air balloon design. 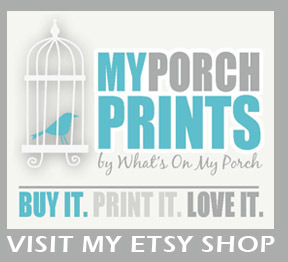 You can find it in my Etsy shop. This last design is my FAVORITE! It is how I picture heaven... just me and Jesus sitting in a field of flowers and chatting together. There you have it! I know they're not perfect, but I love being able to open myself up to what God is saying and reflect it back in art, even clumsy art. Do YOU want to share your Bible J art? Post it on my Facebook page. 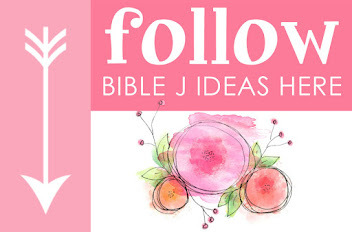 Want MORE Bible J Ideas? 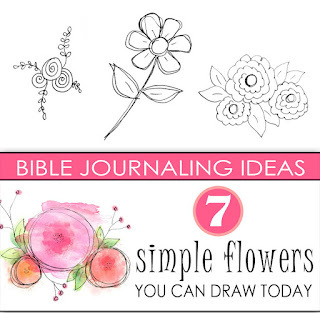 Read about How to Draw Simple Flowers. Wondering where to begin? Read this! Hope When It Hurts (from Amazon) This book helped me through a very hard time in my life! 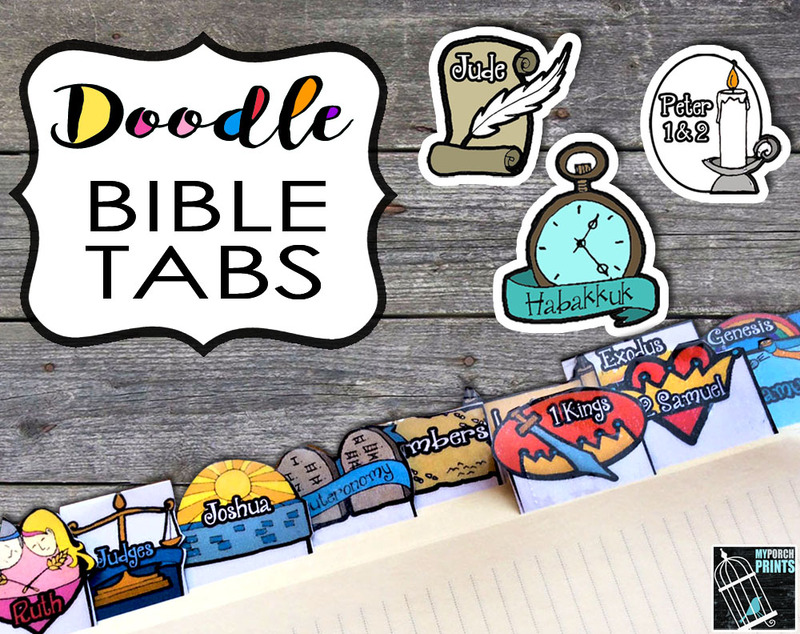 Get these whimsical tabs in my Etsy shop! This blog uses affiliate links, meaning at no additional cost to you, I may earn a commission if you click through and make a purchase. Stephanie is an author, homemaker, wife and mom. She enjoys being creative, reading books, and decorating.